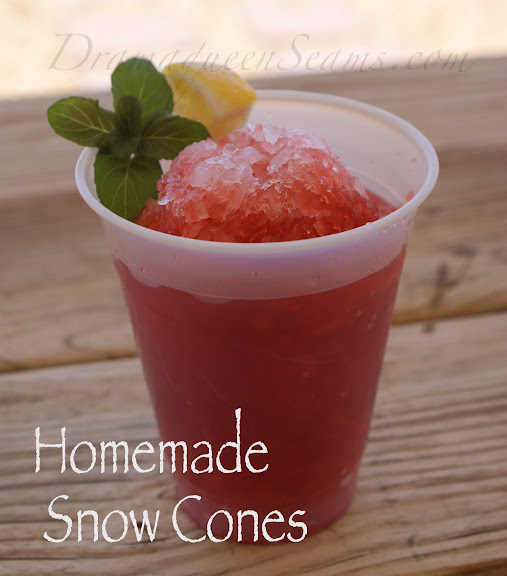 Homemade snow cones are the easiest summer treat to make for a little something different to cool off on a warm afternoon… All you need is a blender or an Ice Shaver machine (got mine at Target last summer). 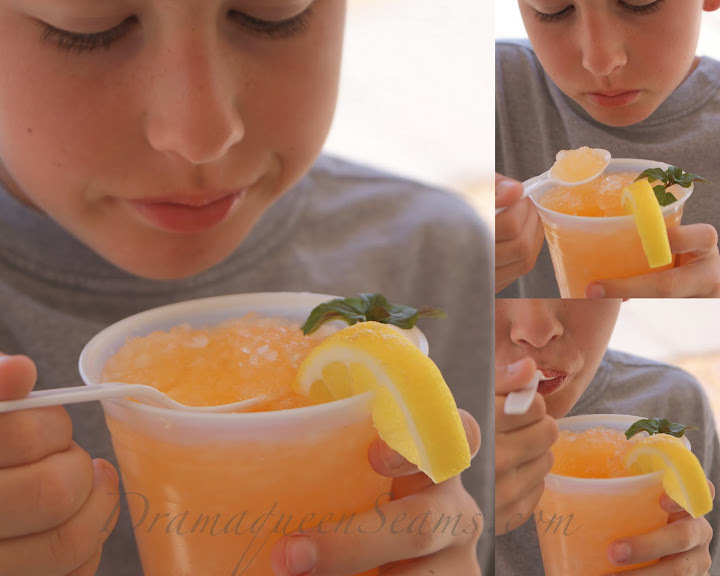 Just crush up your ice in a blender and scoop into your cup. 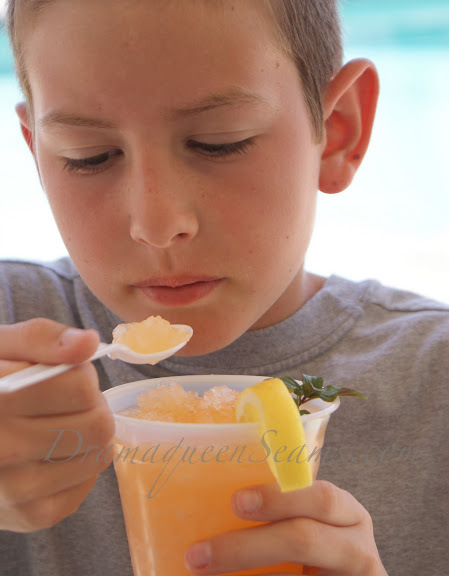 Pour your favorite flavoring over the ice and you are good to go. We like to use fruit juice. You could also use any flavor soda pop, lemonade, Kool-aid, Crystal Light even Tang is really good too. Black cherry Shasta soda is my favorite flavoring to use. This is such a simple activity to do with your kids. Mine love anything they get to make and then eat. Oh, yum!! I remember making those for my kids!! Such a long time ago!